1. Mavuno Group of hotels offer accommodation services to clients. The accommodation rooms are categorised as single, double or VIP; each attracting different rates. The rooms with fridges stocked with drinks attract an extra cost. 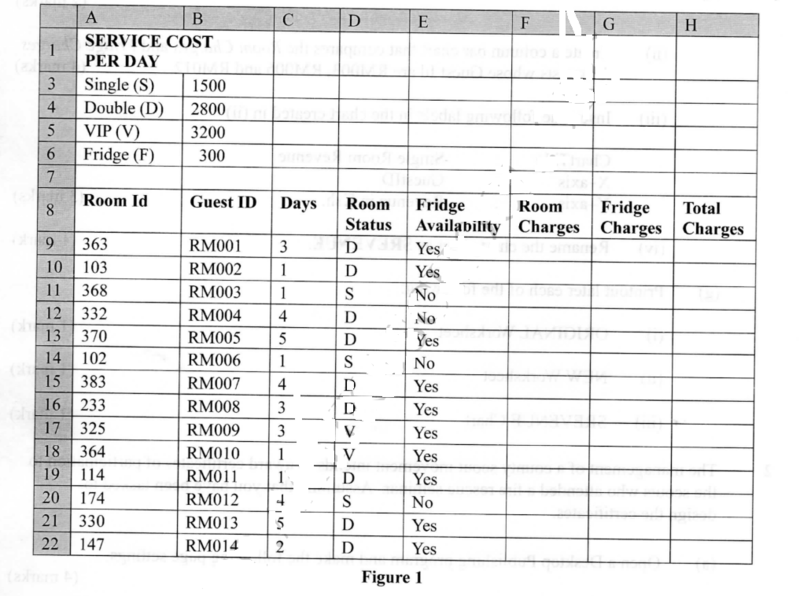 The management of the hotel intends to use a spreadsheet program to compute the revenue from the rooms. Open the spreadsheet program and create a worksheet to appear as shown in Figure 1. (iv)	Rename the chart sheet as SREVENUE. 2. The management of a county scout movement intends to award certificates of participation to the scouts who attended a fire rescue seminar. Assuming that you have been tasked to design the certificates.